2019 Oyster Roast For Members Was a Success! 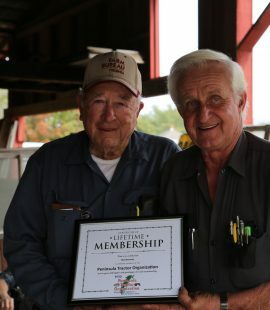 The Peninsula Tractor Organization 2019 Oyster Roast for members was a success! Members and their families enjoyed great food and company on a beautiful spring day! Thank you so much to all those who helped make this a great event! 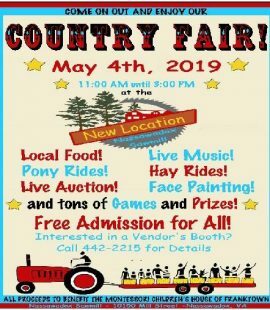 The Country Fair benefiting the Montessori Children’s House of Franktown will take place at the Nassawadox Sawmill on Saturday, May 4, 2019 starting at 11am – 3pm. It turned out to be a beautiful day for a parade! 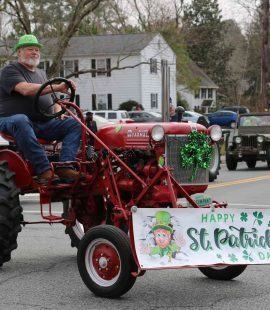 The Onancock St. Patrick’s Day Parade was great again this year. Thank you Town of Onancock for inviting us this year!